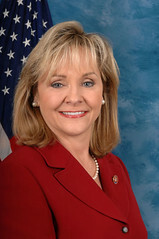 Some Oklahoma Republicans are criticizing Gov. Mary Fallin for at least implicitly supporting a portion of the federal Affordable Care Act (ACA), but what if “Obamacare”-the clichéd, hyperbolic term the GOP here has rallied around in its electoral detest for the president-is actually a good thing for the state? That exchange will empower consumers and help individuals and small businesses to shop for and enroll in affordable, quality health insurance plans. This is a step in the right direction for Oklahoma and its citizens. But now some GOP legislators-how many is the real question here-are speaking out against her supposed support for Obamacare. After all, Fallin has endorsed Oklahoma’s lawsuit against ACA, arguing it’s unconstitutional. She voted against it when serving in the U.S. House of Representatives. She also used her opposition to ACA as a campaign issue, rallying the GOP base here around anti-Obama political rhetoric. It’s the first step of Obamacare. You just can’t think that the federal government is going to give you money and not have any strings attached. Some 50,000 Oklahoma small businesses with 25 or fewer employees and an average wage of less than $50,000 are now eligible for tax credits to help cover up to 35 percent of the cost of health insurance premiums for their employees. Don’t skip over these numbers, especially in the first paragraph, not that the other information is not as vitally important. The fact that 50,000 young adults here could have better access to health care in this state by a simple insurance rule change, the costs of which are minimal or nothing or even profitable to private industry, is a vivid example of ACA’s common sense and pragmatic approach. I just don’t see the communist threat looming around young adults getting adequate health insurance paid by their parents, but then I’m a college professor, and I want my students (and other young adults, of course) to be healthy. Is that bias or am I trying to take away freedom under a plot to undermine American democracy? The Oklahoma Publishing Company, which publishes The Oklahoman, one of the most conservative newspapers in the country, even takes advantage of ACA through an early retiree insurance program. The mandate to require everyone to have health insurance in the future is a contentious issue, but it’s a debate that needs to happen. Obama has clearly indicated he’s ready to consider other health-care reform ideas, push back time frames for applying all the ACA requirements and debate what needs to happen to improve federal health-care reform. For what it’s worth and coming from a liberal this might not do her any political good, I think Fallin made the absolutely right decision to push for health-care exchanges, and Oklahomans of both major political parties and everyone else should get behind her on this issue.